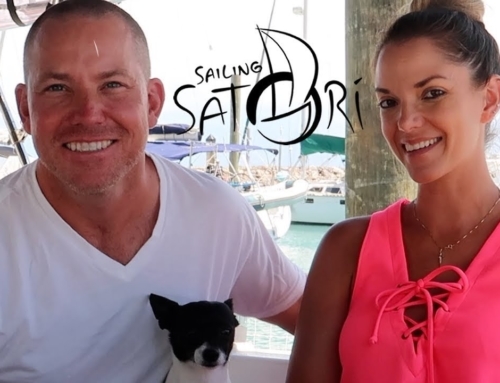 Home/Sailing Satori Season One Trailer – See How it All Began! Our first video is complete! 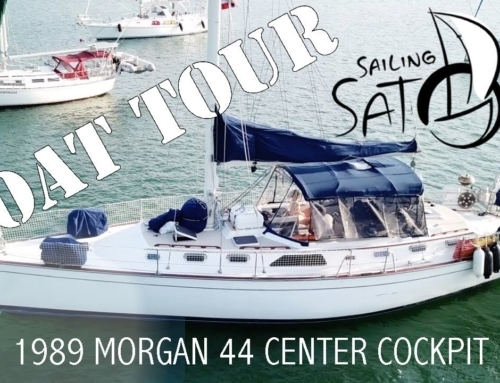 Sure, it’s only our Sailing Satori Season One Trailer. But it’s been a lot of work getting this first one ready. I think it turned out pretty good. We are both new to video production, so getting over the learning curve while prepping the boat for cruising has been a challenge. Despite the struggles, we enjoy the creative process. Our goal is to keep this fun, entertaining, and educational, even if it means that we are showing you what NOT to do. This video is a quick introduction to the Satori crew (Nick, Kelly, and Arthur). Since I purchased Satori in 2013, I have worked on countless maintenance, refit, and upgrade projects. And with no sailing experience before moving aboard, I have also learned to sail her on my own. Perhaps I should have taken a lesson or two… but what’s the fun in that? Kelly and I met about a year and a half ago. We weren’t dating very long before I could tell she would be on board for some real cruising. I’ve always said this was my plan from the day I decided to buy Satori, and she didn’t hesitate to jump on board. Once we set a date and committed to leaving the dock, creating our own YouTube channel was an obvious step. 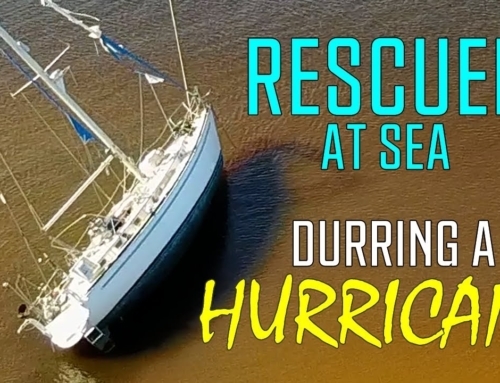 We started shooting footage immediately, beginning with Kelly moving out of her apartment and onto the boat. Granted, this is pretty random footage, but I hope we can present it in a meaningful way. We still have a lot to learn, but now we are more conscious of how we gather our footage — composition, audio, quality, etc. Arthur is the newest member of the crew. He is a whopping 5 pounds; he’s the perfect sized boat dog. Our little guy is a pure-bred Chihuahua, but comes without the nervous shaking and barking you would expect. He is the coolest little guy, and I’m honored to have him on board… even if it did take me a few weeks to warm up to the idea of cruising with a pet. Hey, I’m trying to avoid responsibility here! We will dive deeper into each of our background stories in a future video, as well as show you some archive footage of when I bought Satori. In this video, we wanted to highlight some of the footage we have captured over the past five months. 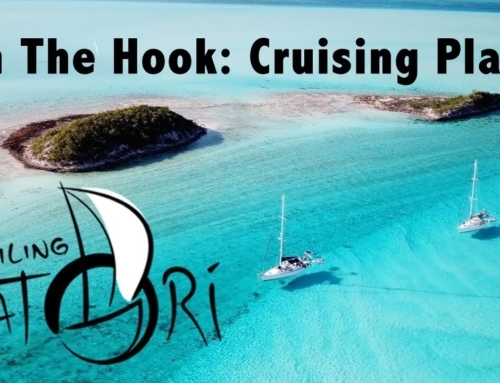 We have had plenty of dirty boat work, cool projects, amazing sailing, drone footage, and some priceless drama as we sailed to the Dry Tortugas, Key West and back to St. Petersburg. 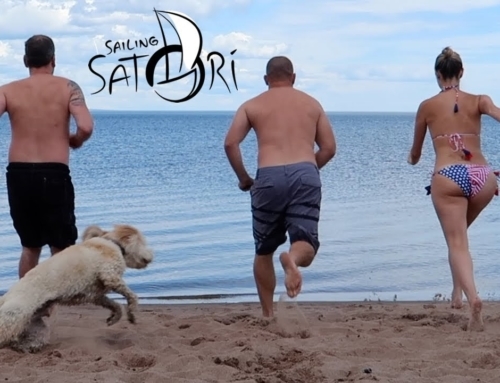 Please take a few minutes to our Sailing Satori Season One Trailer, and subscribe to our Youtube Channel. There is so much good stuff coming in the next few weeks, you won’t want to miss it. You can also sign up for our mailing list below and get updates on our status and new videos as they are released. You can also become Member of our Patreon crew and help support the show. Peanut butter and jealous! Have a blast!